When I first saw Daphne van den Heuvel's work, I literally stopped what I was doing and just stared for a crazy-long time. 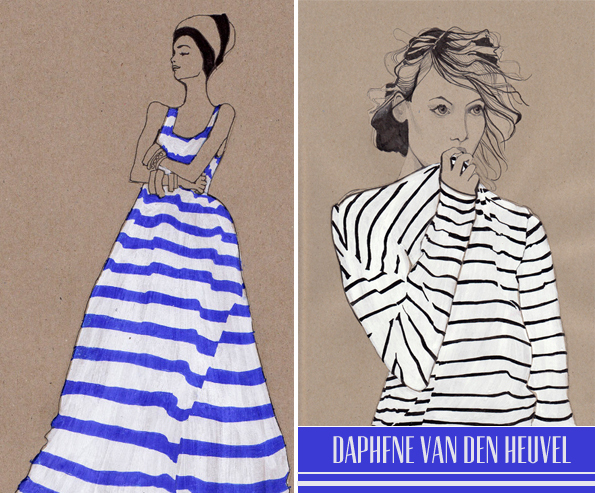 Her fashion illustrations are quite stunning, especially these two below found in "Illustrations 2011: I Love Stripes." 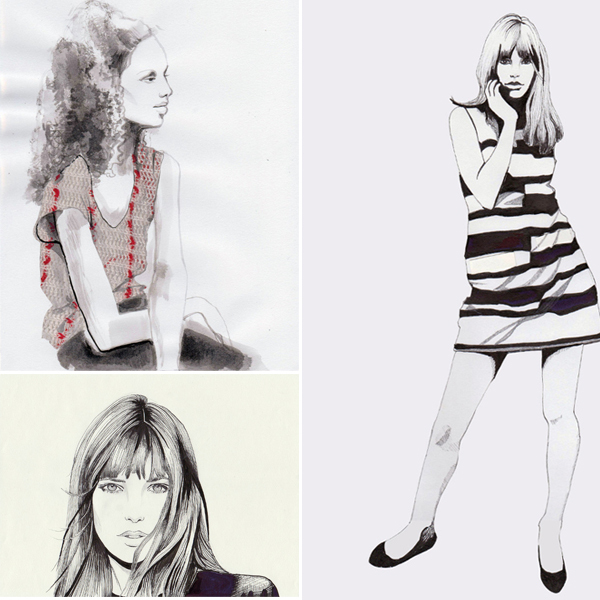 The third image is in the "Illustrations 2011: Fabulous fabrics," while the last two are from "The Jane Birkin Illustrations." Perfection. Sigh.